Multi-instrumentalist (piano, National Reso-coustic slide and acoustic guitars, wailin' blues harmonica) Brian Black, takes you on a musical journey through a broad spectrum of styles. 8. Is There Something Goin' On? 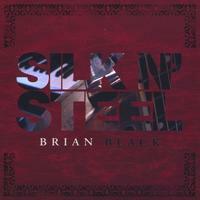 With Brian's first release..."Silk N'Steel"...you will discover an immensely broad spectrum of musical styles, ranging from the "Silky" instrumental piano pieces that draw the listener to an introspective landscape, with smooth transitions into piano and acoustic guitar-driven pop gems of romance, love and relationships. LISTENERS BEWARE, however....as the "steel" portion of the CD slices you with a distinctive edge of blusey, "reso-coustic" tunes that embrace...shall we say....the lighter, more hedonistic layers of the human condition....with a smile and a wink for good measure!